First Saturday A Big Success at Sixth Annual TCMF! White Ghost Shivers closes the Saturday session at the TCMF, a true celebration the cultural and musical diversity of Austin at Central Market! 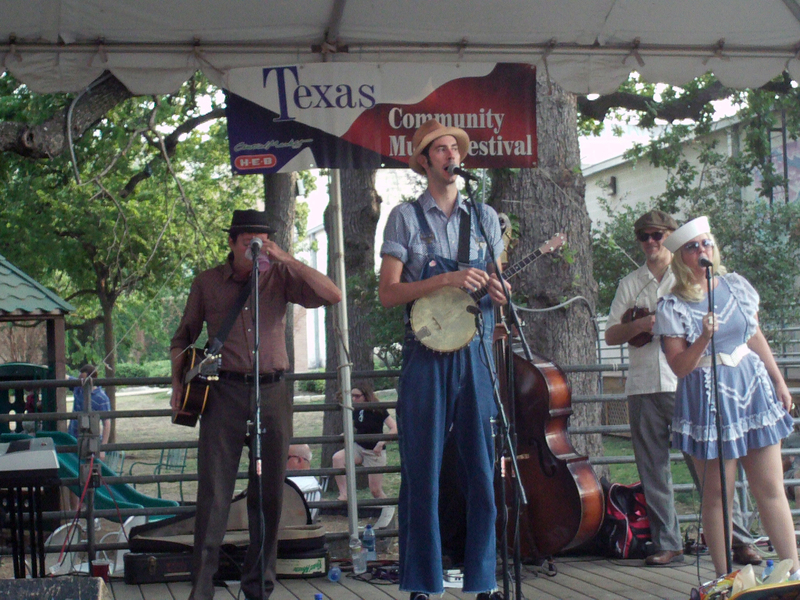 AUSTIN — A show as eclectic as Austin itself was the musical fare at the Sixth Annual Texas Community Music Festival on Saturday, April 30. Music lovers of all ages enjoyed everything from classical music to a brass band version of “Bohemian Rhapsody” to a little ad hoc Polka and “The Chicken Dance,” and everything in between. Highlights of the day’s activities included a performance by the host organization, the Austin Civic Wind Ensemble, splendid brass band performances by the Austin Brass Band and Suburban Brass, a delightful program of movie themes courtesy of the Hill Country Community Band of Marble Falls, a spirited set of traditional Andean music by Kunitan and an exciting and entertaining show by Saturday’s headliners, White Ghost Shivers. Sunday’s performances begin at 10am with our traditional Jazz Brunch with the Chaparral Dixielanders and culminate at 7:45 with one of Austin’s most popular jazz bands, the Monster Big Band. 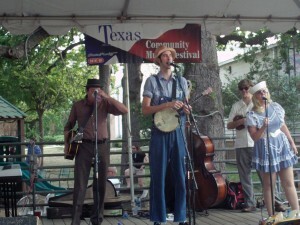 A TCMF Favorite, The Austin Jazz Workshop, will make it’s 2011 festival appearance at 4:00pm. So make sure you come out to Central Market on Sunday and enjoy the performances of some of Austin’s finest musicians! The show will go on rain or shine and, as usual, all performances are free and appropriate for audiences of all ages!